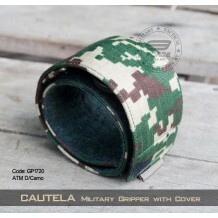 CAUTELA - GP1700 series are military gripper with cover. 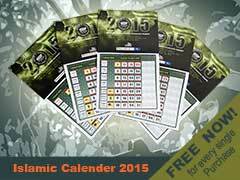 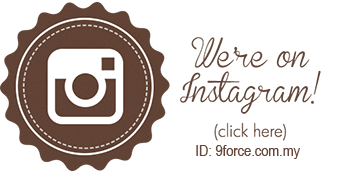 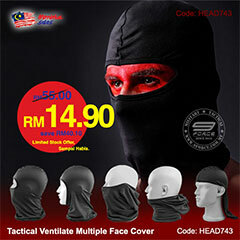 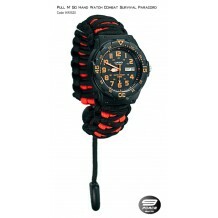 Tough design and hand made high quality products. 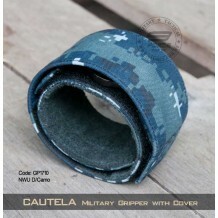 CAUTELA can fully protect your watch, and it is durable and comfortable, We use leather, nylon strap and cordura. 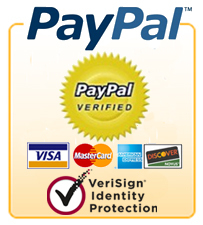 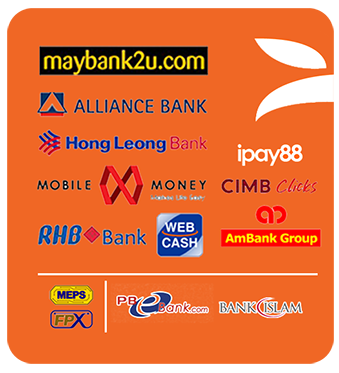 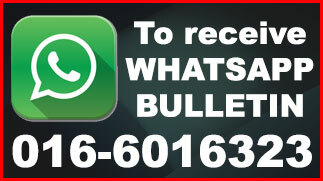 It is easy to use and install. 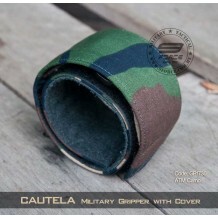 CAUTELA come wit.. 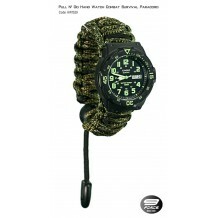 Introducing new TACTICAL GEAR with Twin Sensor capabilities that measure temperature and altitude/air pressure. 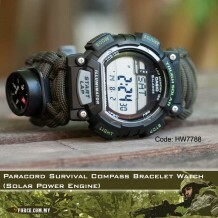 These Digital-analog combination outdoor watches let you enjoy all of the intuitiveness of analog readouts and the accuracy of digital values. 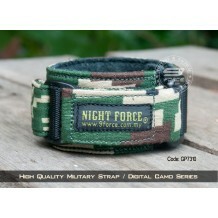 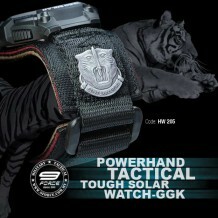 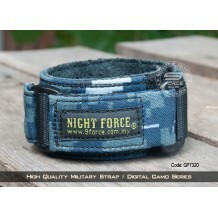 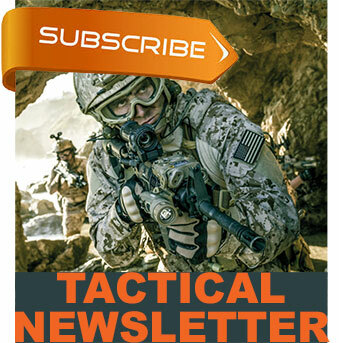 PARACORD SURVIVAL band will help..
We are Night Force design team, we design and built military style products. 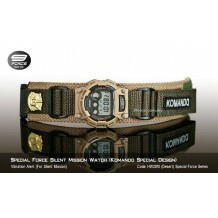 This wacth strap, we called it gripper is fully hand made products, its durable, confortable, and fashional. 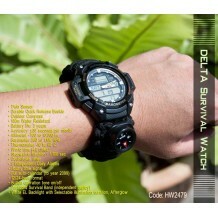 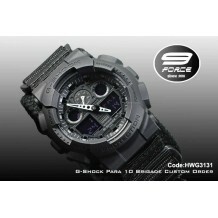 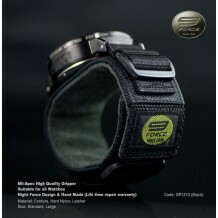 This gripper suitable for all watches. 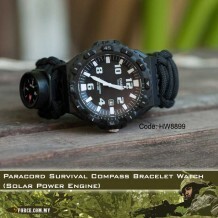 We just need to adjust a bit for certain watches. 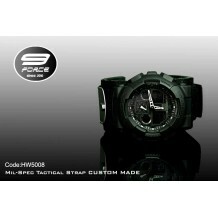 We also..
Name: G-Shock Para 10 Brigade Custom Order Code: HWG3131 Color: black Introducing a collection of new G-SHOCK PARA models whose 35mm diameter faces and large cases give them a look of power and strength. 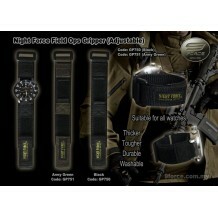 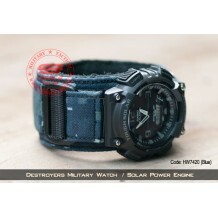 High quality tactical strap (Strap lifetime repair warranty). 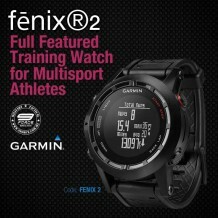 Dial ring..
NAME: GARMIN FENIX®2 FULL FEATURED TRAINING WATCH CODE: FENIX2 COLOUR: BLACK - MULTISPORT ATHLETES - EXTREME MULTISPORT GPS WATCH - SWIM PROFILE & SKI-BOARD MODE - NAVIGATE YOUR WAY ALTIMETER, BAROMETER & COMPASS - RECOVERY TIME - USB CHAR.. 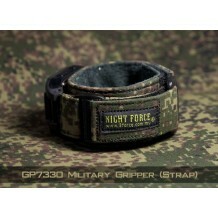 Product Name Mil-Spec Hand Made Gripper (Life time repair warranty) Specification Mil-Spec High Quality Gripper, Suitable for all Watches pin 18-25mm (WATCH IS NOT INCLUDED) Night Force Design & Hand Mad..
Name: Mil-Spec Tactical Strap Code: HW5008 Weight: 10 gram Color: Black ..
Name: Night Force Field OPS Gripper Code: GP750 Size: 18cm - 20cm Weight: 10 gram Color: Black, Army Green ..
Name: Paracord Survival Compass Bracelet Watch (Solar Power Engine) Code: HW8899 Features: • 100m Water Resistant • Rotary bezel • Date display at 3 o’clock • Diver-look in a pop design • Paracord Survival Bracelet • Solar powered • Low battery ..
Name: Paracord Survival Compass Bracelet Watch (Solar Power Engine)-7788 Code: HW7788 Size: 7'', 8'', 9'' Features: • Tough Solar Power • Easy-to-read face and large front button • Lap memory 120 • 100m Water Resistant • Paracord Survival Br..
POWERHAND TACTICAL TOUCH SOLAR WATCH-GGK CODE: HW205 COLOUR: BLACK - SOLAR ENERGY KEEP YOUR WATCH POWER LONG-LASTING - 120 LAP MEMORY USEFUL TO TRACK YOUR WORKOUT - 100M WATER RESISTANT - BATTERY POWER INDICATOR EASY TO MONITOR YOUR BATTERY POWER - 11 M.. 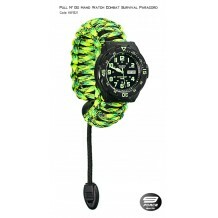 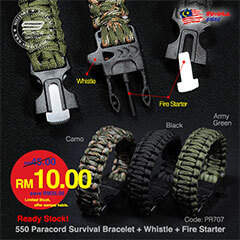 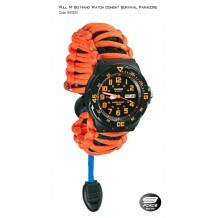 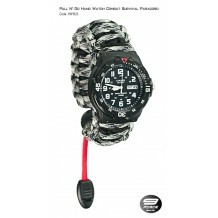 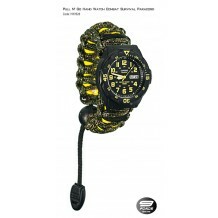 Product Pull N' Go Hand Watch Survival Paracord (1 Year warranty) Specification • One Hand Pull N' Go, 100M water resistant. 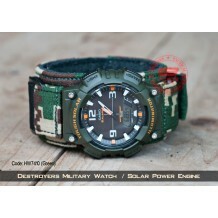 • 1 year warranty • Code: HW1520 (Orange/Black) • Size: 7",..
Name: Silent Mission Special Force Watch (Komando Special Design) Code: HW2810 Size: 18cm - 20cm Weight: 100 gram Color: Desert • Solar Power • Analog + Digital • Tidak perlu tukar bateri seumur hidup ..